Everyone loves being in the open air when the sun shines and when you install one of Schuco’s bi-folding/sliding doors – which allow a clear opening of as much as 95% – you can enjoy that sensation inside as well as outside your home, all day long. It’s a fabulous, liberating feeling. Which is reinforced by the design options available: you can specify not only the colour (and there are plenty to choose from), but also whether the leaves glide inwards or outwards to stack. Every folding door is thermally insulated with close-fitting, weather-tight gaskets to eliminate draughts. Precision-made rollers and a top guide mean that even a door system with multiple leaves is easy to operate. 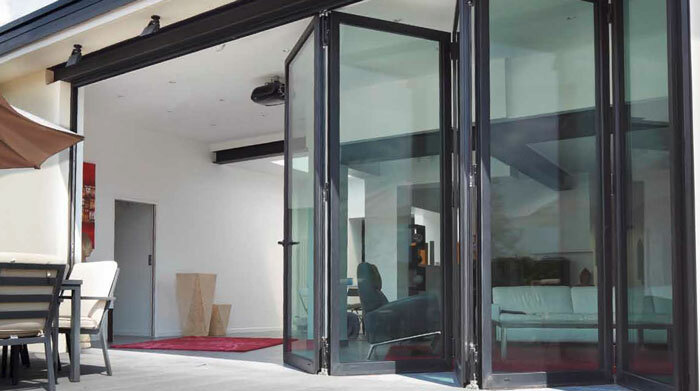 In addition, being highly engineered, a Schuco folding door is exceptionally strong and dependably secure despite elegantly slim frames and narrow face-widths. Come and visit our Schuco showroom based in Hendon to see the full schuco range we offer and have a free consultation on the work you want carried out and find out how we can help you with your project with minimum fuss and cost! 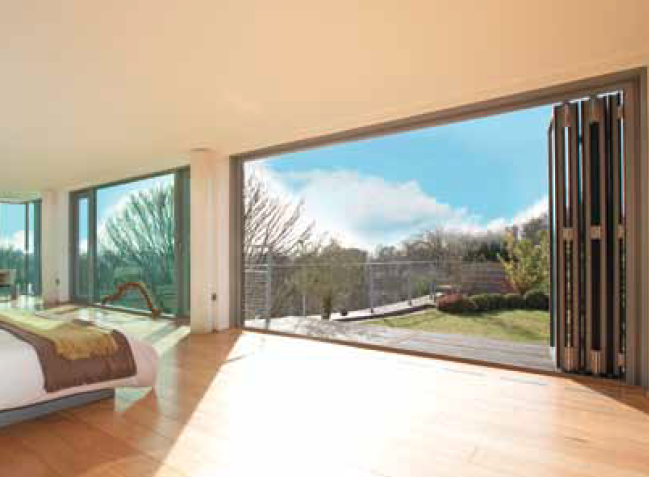 Choose Reynaers sliding doors with single, double or triple track designs; slim-line options; slide or lift-and-slide mechanisms; manual or automatic operation. Our bi-fold doors have a choice of four different threshold options from flat bottom to high performance, and there is a slimline variant too, with narrower door leaf profiles. Our range of doors offers industry-leading maximum sizes, excellent thermal and weather performance, and security levels that meet or exceed the relevant European standards.